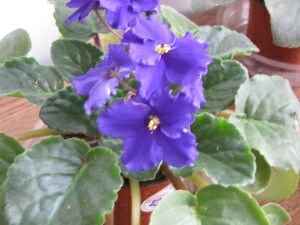 There are many varieties of houseplants. Some are tropical in nature and cannot survive outside in cooler climates. Some can be moved outside in the summer and brought back in. Others are outdoor plants that can be successfully grown indoors. The following listing is in no way complete, but we will continually add to it. If you have a favorite, let us know and we'll include it to share with others. These are just a few of the many plants that can be grown indoors. Not everyone has the space to grow a lot of plants indoors, but everyone has at least one window. There are plants that need only a little light to survive, growing in office environments with only overhead lighting available. There are plants that need high humidity and those that like it dry. And there are plants that need a lot of attention as well as those that can stand being ignored and forgotten about. In short, there is a houseplant for everyone. In addition to being beautiful, they also help the indoor environment by adding oxygen to the air. Plants and their planters can help add humidity to dry air in the winter time. They also make great gifts for the holidays or any occasion. Often given as a holiday gift, The Christmas cactus is a easy to care for hardy plant that can be moved outdoors in the shade after danger of frost is past. The Norfolk Island Pine is another plant that's popular around the holidays as well as the ever popular Poinsettia. Whether given, received, or bought for yourself, with care these holiday plants will last all year long. While technically not house plants, It is common for gardeners to want to get a jump on the season and add some color to their homes in late winter by forcing bulbs such as Tulips, Hyacinths and Daffodils. It is easy to force bulbs indoors with just a little preparation ahead.